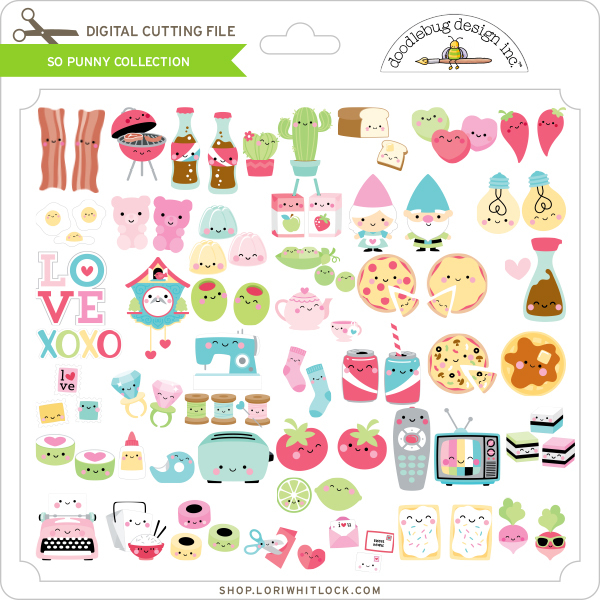 Doodlebug Design Inc Blog: So Punny | Cut Files have hit the stores! We know you've been waiting patiently for this announcement, well wait no longer! The 'So Punny' cut files have officially hit the stores. Can't wait to go and buy!! When are they going to be available on Silhouette Design Studio? Hi Wendy, the So Punny cut files will only be available through the Lori Whitlock Store. Will future collections be available via the silhouette store? I increased my subscription recently to ensure that I collect everything doodlebug via the silhouette store.